Make it easier for everyone to understand and collaborate on your business decisions by using well-defined vocabulary and declarative interpretation to separate business decisions from application source code. Better adapt to quickly changing business requirements by decoupling critical business logic from application code so you can view, manage, and change business rules faster and more efficiently. Reduce reliance on IT staff and shorten development cycles by enabling your business experts to define and manage the decision logic in a separate business rules management system. When an organization’s business knowledge is not formally defined, it is applied inefficiently and inconsistently. An organization also runs the risk of losing valuable intellectual property when critical business knowledge is buried in code and either inaccessible to key decision makers or limited to personnel who may retire or resign. The reality is that IT cannot keep up with the rate at which business policies and decisions change today. Business and IT need to find a new way to bridge the communications gap to keep its competitive edge. This can be achieved through a well-defined vocabulary and declarative interpretation of business rules that everyone can read and understand. You can address these problems directly with a Business Rules and Process Management System. By extracting critical business decisions from your application source code, you can ensure they’re consistently followed by all levels of your organization. You can also reduce “tribal knowledge” by collecting vital business information in a centrally managed location. We can help you keep your business decisions and the organization’s policies, procedures, and guidelines independent of procedural programming languages and database storage. Download this solution brief to learn how to increase IT efficiency, accelerate response times, eliminate vendor lock-in, and shorten development with solutions from Red Hat and Vizuri. Vizuri has implemented rules-based systems and trained client staff for organizations across the United States. We have successfully delivered JBoss BRMS consulting engagements that required high availability and leveraged continuous integration and delivery with BRMS as a microservice—facilitating non-disruptive updates and deployments. Vizuri holds extensive knowledge of both the Red Hat products (BRMS, BPM Suite) and the underlying open source projects (Drools, jBPM). We have been working with these technologies since their introduction and can use them to their full potential. Since Vizuri has delivered and guided our customers through many rules-based projects, we have refined our processes through lessons learned with each project. As a result, we have increased our efficiency and have developed standard practices for engaging with customers. Vizuri has created and delivered rules development training material that covers how to effectively plan and build applications that use a BRMS. The course shows your team how to approach complex patterns, business strategies, processes, and business rules, and then to author rules into usable software. The training can be customized to leverage your specific use cases in the workshops. Join us for this on-demand webinar to review general rules development principles and the soft skills needed before implementing business rules. Learn how to solve complex business rules problems through a methodical approach. Join us for this on-demand webinar to learn how business rules engines fit in a microservices architecture and how to orchestrate business rules as a microservice on Red Hat's OpenShift Container Platform. Estimating performance is increasingly tricky when contemplating a general and flexible BPM framework such as the Red Hat JBoss BPM Suite ecosystem. 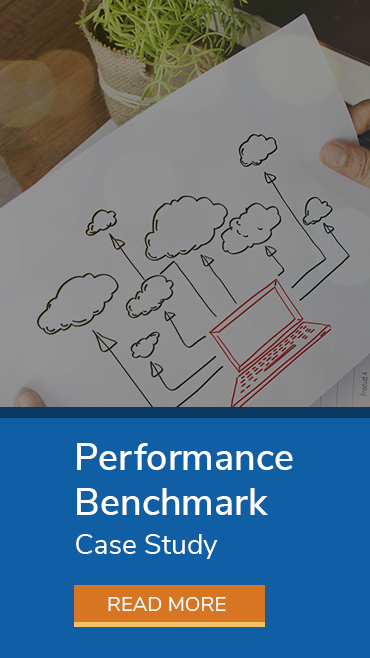 Download our Benchmark Performance Case Study to get a better idea of what to expect.